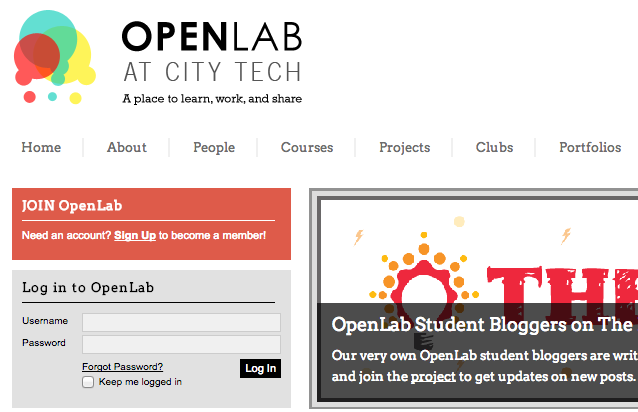 First Login or Create a new account on the OpenLab website if you haven’t already. 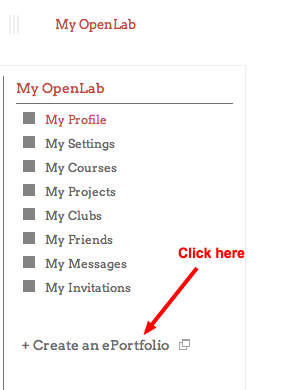 Once you’ve successfully logged in or created an account, click on “My OpenLab”. Please fill in the required information that is relevant. Please select your privacy settings. Ideally, having it visible to the public is your goal. Upload an avatar that represents yourself or your portfolio. This can be skipped and set later. 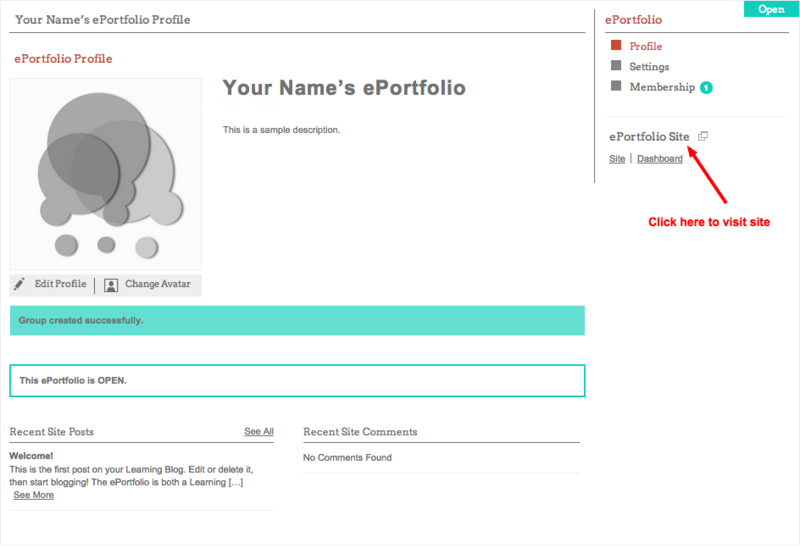 Your ePortfolio is now created. 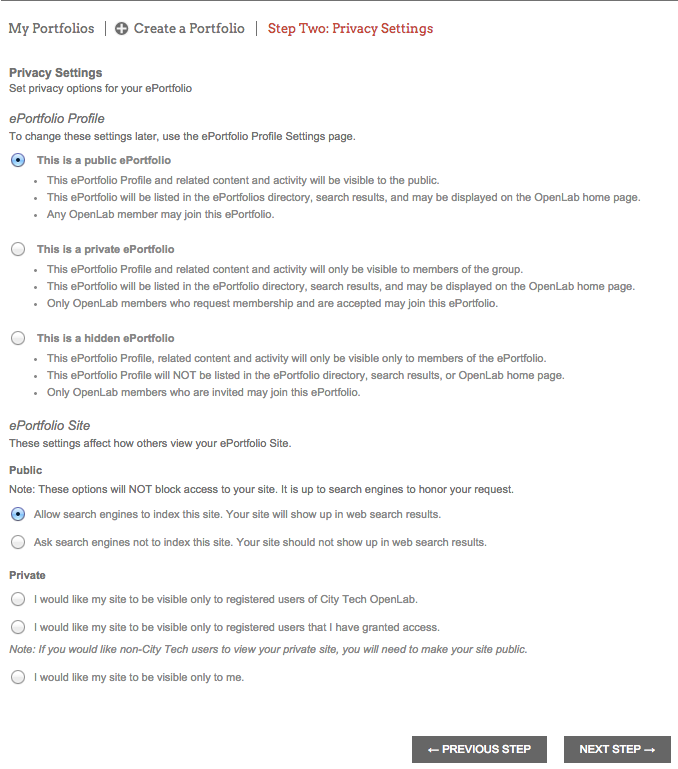 This is the profile page of your site. 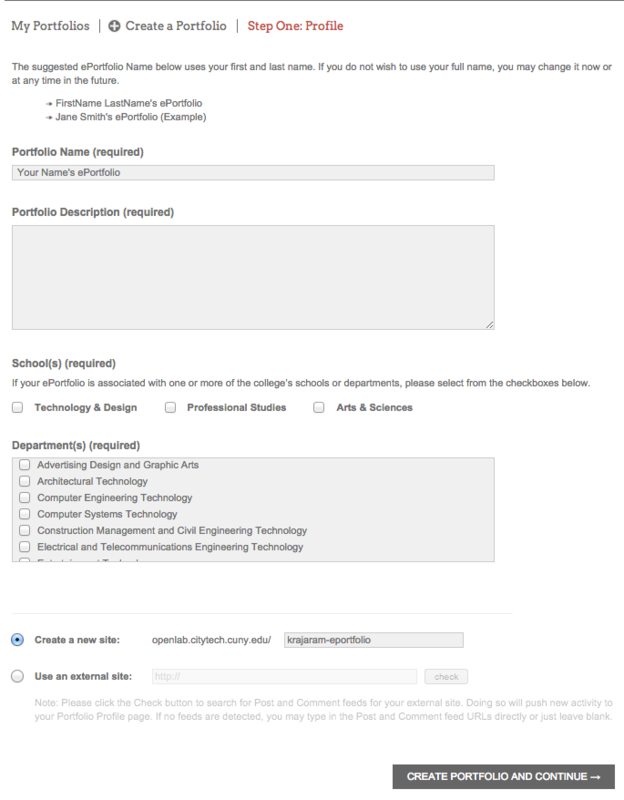 You can update and change information pertaining to your site here, manage your site by clicking on “Dashboard” or visit your site directly by clicking on “ePortfolio Site”. 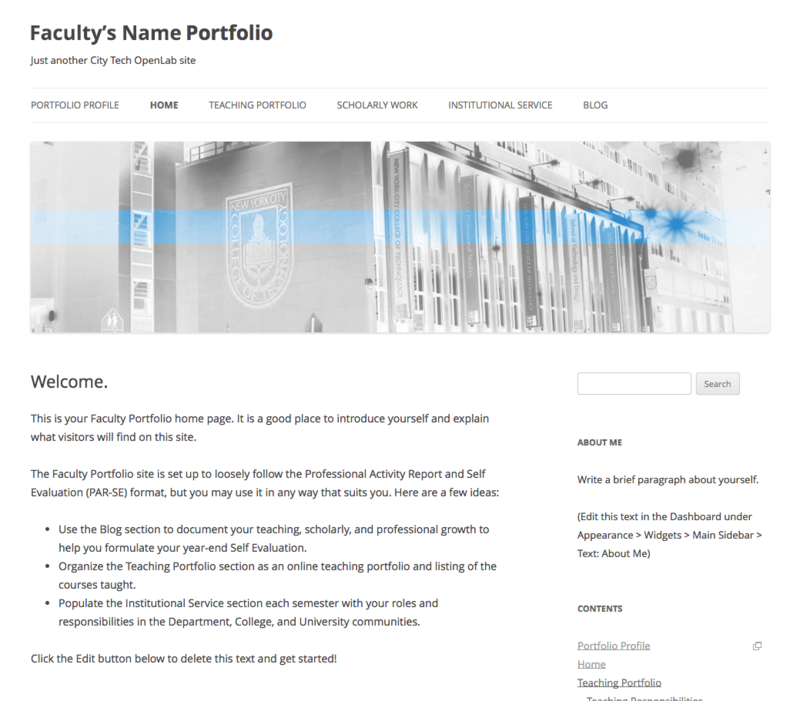 This is an example of an ePortfolio site and how it will look once it has been created.